Britain’s litter problem is getting even worse, with a major audit finding ever-more sites spoilt by ‘unacceptable’ waste. 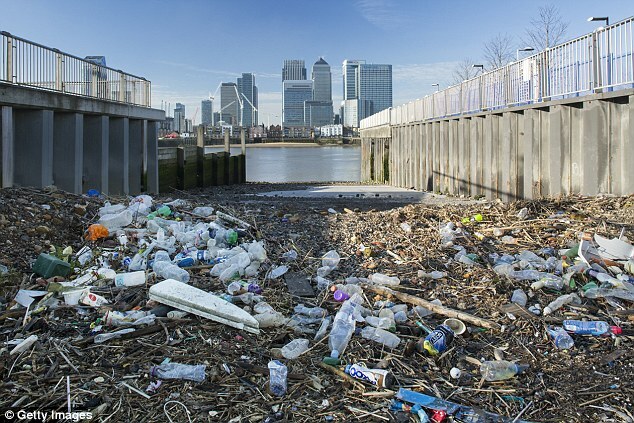 A Keep Britain Tidy survey of more than 7,000 locations found 14 per cent were ‘heavily’ littered – up from 10 per cent when the same research was carried out in 2014/15. It represents a 40 per cent increase. Unhealthy habits and a throwaway culture are fuelling the scourge. Cigarette butts were the most commonly found item at 79 per cent of sites, followed by confectionery packaging at 60 per cent and soft drink cans and bottles at just over half. Fast food wrappers and alcohol bottles and cans are also frequently strewn across our streets – with snack packs, vehicle parts, discarded food and drink and clothes accounting for the majority of the remainder of the rubbish build-up. As part of our Turn The Tide on Plastic campaign, the Daily Mail has been calling for a deposit return scheme for plastic bottles to ensure they are recycled rather than discarded. That call was supported yesterday by the Marine Conservation Society to help prevent plastic waste polluting our seas. The sites surveyed by Keep Britain Tidy (KBT) included major shopping areas, high, medium and low-rise housing developments, retail sheds, science parks, main and rural roads and recreation areas. 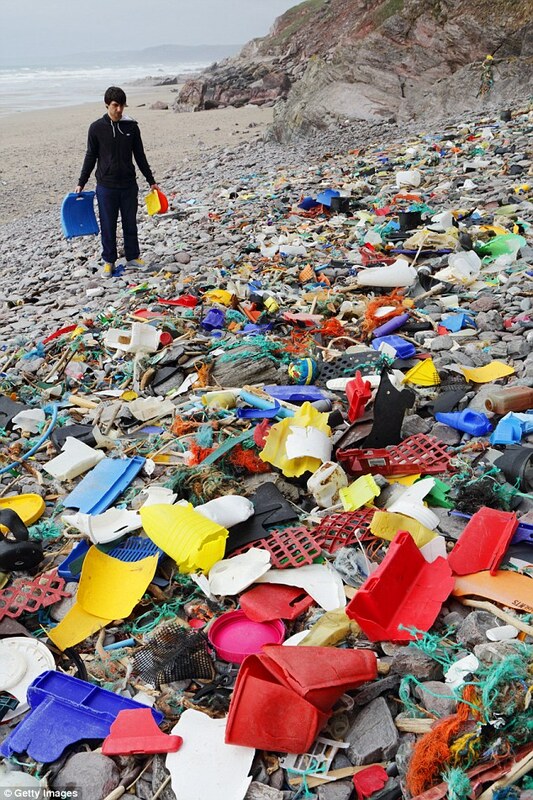 The results are worse than those found by the Department for the Environment, Food and Rural Affairs (Defra), which said 12 per cent of locations it checked had an ‘unacceptable’ level of rubbish. This refers to areas that have ‘widespread’ and/or ‘accumulations’ of litter – or anything classified below grade B on a scale from A to D.
KBT’s Local Environmental Quality Survey of England was conducted between April 2017 and March 2018 at 7,200 locations. Housing sites were found to be the dirtiest areas, with a shocking 41 per cent failing to meet the acceptable standard. ‘Main retail’ areas were the cleanest, with only 2 per cent classed as ‘unacceptable’. Around 25 per cent of sites in the KBT study were also judged unacceptable for ‘detritus’ – which includes dust, soil and plastic and glass fragments. The rise in litter comes despite councils being given the power to double on the-spot-fines. New laws have also been introduced to fine drivers who allow rubbish to be tossed from their windows – whether or not they were the culprit. Richard McIlwain, deputy CEO of Keep Britain Tidy, said the rise in litter was being fuelled by Britain’s love of takeaway food and drink. ‘Smoking litter is number one, but seven of the other most common items are food and drink,’ he said. ‘If you eat food and drink on the go, you end up with a lot of packaging that goes with it. The charity is in talks with Highways England to see if fixed roadside cameras could be used to identify drivers who drop litter from their vehicles. Mr McIlwain added that countries using bottle deposit return schemes, such as Norway, have recycling rates of plastic bottles as high as 90 per cent. The Government has announced plans to introduce such a scheme in England subject to a consultation later this year. Similar plans have been announced in Scotland. Defra said in 2016/17 it cost local authorities £682million or £29 per household to keep our streets clean. KBT research has found bottles and wrappers dropped on the ground tend to attract other rubbish – because litter louts feel they have ‘tacit approval’ to follow suit. 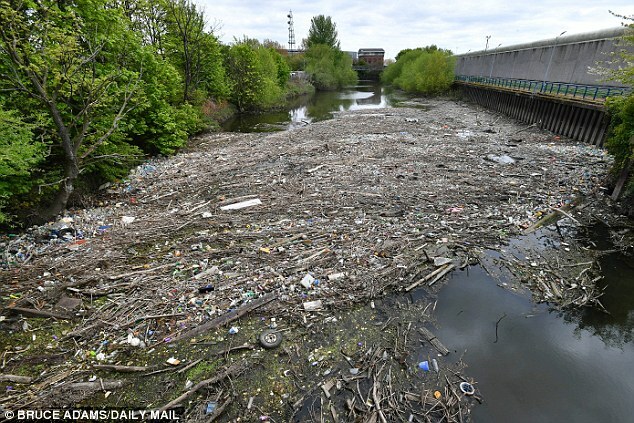 Earlier this year the Mail also launched its Great Plastic Pick- Up, when our army of conscientious readers went out to pick up rubbish from the country’s streets, fields and beaches.